I've changed the date in our database of what seems like a dozen times for Serious Sam HD on the Xbox 360, but it appears we finally have a firm date for the Devolver Digital developed title. 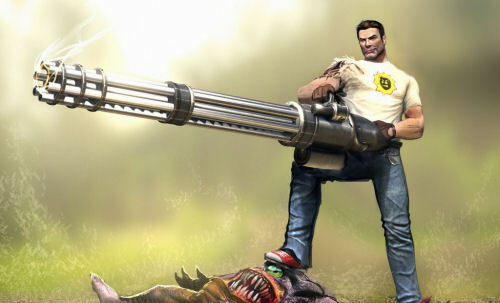 Coming on January 13th to the Xbox Live Arcade for an undisclosed price, Serious Sam HD will give players four player online co-op action with plenty of enemies to kill with your friends. There's 15 classic levels, all redone in the all new Serious Engine 3.0. The PC version was released a few weeks ago via Steam for $20 and features a 16 player co-op mode. We'll have a review of that early next week.